When do regular adventures become misadventures, anyway? Hey guys, whatcha playing? We're hyped up for Final Fantasy 14, Sunset Overdrive, and Capcom's reissued The Misadventures of Tron Bonne. And maybe - just maybe - Nick's copy of GTA V will start working. Nick Puleo (@NickPuleo) - "I started Batman: Arkham Origins, so probably a bit of that. Perhaps GTA V on PC will finally run for me?" 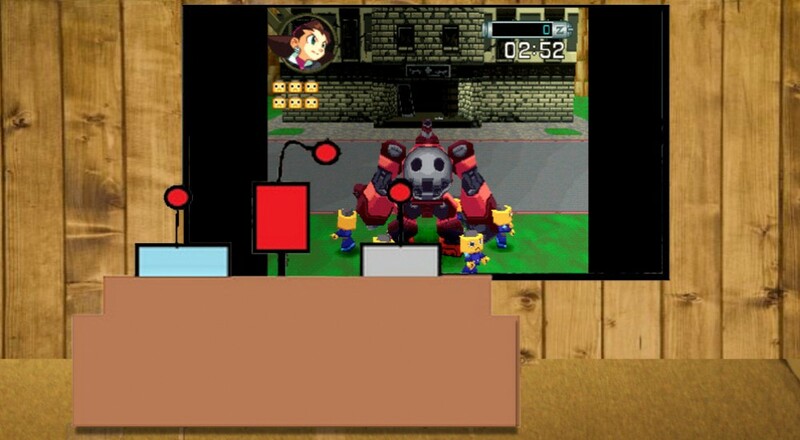 Danny Cowan (@db_cowan) - "I picked up City Connection and The Misadventures of Tron Bonne on PSN earlier this week, so I'm looking forward to trying those out." Mike Katsufrakis (@Pheriannath) - "Final Fantasy 14! Join me!" Andrew Gaskill (@cubninja) - "I'll be co-oping the final chalice dungeons in Bloodborne and toppling more towers in Mortal Kombat X." Marc Allie (@DjinniMan) - "I am playing Final Fantasy 6 for the first time on my iPad. Looking forward to some time with that this weekend." Jason Love (@JLove55) - "Picked up Broken Age and Misadventures of Tron Bonne on the PS Vita, so I envision that will take up my time." Eric Murphy (@smurph_em) - "I'll be continuing my PC play through of Monaco and getting ready for 8-Bit Salute (next weekend)." Locke Vincent (@LockeVincent) - "Making snuff films in Mortal Kombat X. Jason Vorhees is playable and the PC version got patched so the cosmos have aligned." Tally Callahan - "Solo paper writing for me!" Sam Tyler (@thereelsamtyler) - "I picked up a co-op double bill this week so plan to play both Sunset Overdrive and Destiny." John Bardinelli (@itsamejohn) - "I think I'll pre-order Magicka 2 and take advantage of the sneak peek weekend. I'm not a vampire, so I'm pretty sure I'll enjoy it." Enoch Starnes (@enochstarnes) - "I'll probably spend some time exploring Insurgency's co-op modes, then dealing with the inevitable PTSD they cause. I may also play the 'How many references can you spot' game in Guacamelee." Taylor Killian - "I'm itching to strap my Inquisitor's cloak back on in Dragon Age: Inquisition, and strike fear into the hearts of everyone who disagrees with me." Page created in 0.5804 seconds.